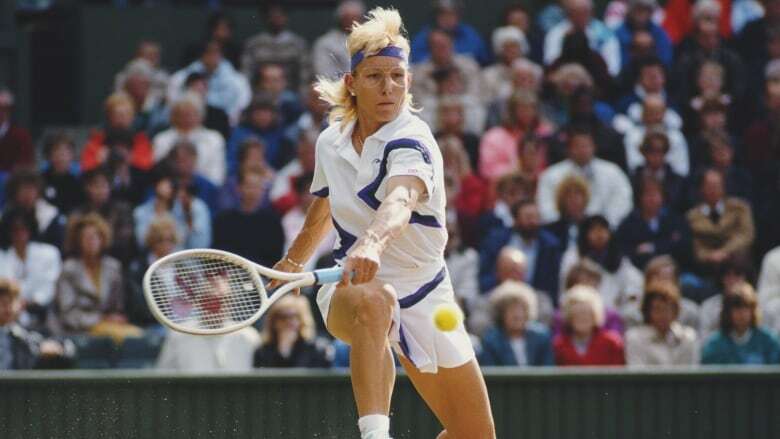 Transgender sportswomen hit back at Martina Navratilova after the tennis champion said "its insane and it's cheating" for transgender women to be allowed to compete in women's sport. Transgender sportswomen hit back at Martina Navratilova after the tennis champion said "it's insane and it's cheating" for transgender women to be allowed to compete in women's sport. "A man can decide to be female, take hormones if required by whatever sporting organization is concerned, win everything in sight and perhaps earn a small fortune, and then reverse his decision and go back to making babies if he so desires," 18-times Grand Slam winner Navratilova wrote in The Sunday Times. Navratilova's comments are "disturbing, upsetting and deeply transphobic," said Rachel McKinnon, who in 2018 became the first transgender woman to win a world track cycling title, reigniting a debate over whether transgender women have unfair physical advantages in sport. Under rules brought in by International Olympic Committee (IOC) in 2016, athletes transitioning from female to male can participate without restrictions. Male to female competitors must have kept their levels of testosterone, a hormone that increases muscle mass, strength and hemoglobin, which affects endurance, below a certain level for at least 12 months. Wimbledon champion Navratilova, who has campaigned for gay rights and suffered abuse when she came out in the 1980s, argued transgender women have unfair physical advantages. Jen Wagner-Assali, who finished third to McKinnon in the 35-44-year-old category world championship race, argued the Canadian's victory was not fair. McKinnon said her rival had previously beaten her in 10 of 12 events. Navratilova expressed support for Caster Semenya, the two-time 800-metre Olympic women's champion, in her case against the International Association of Athletics Federations (IAAF), which is being heard at the Court of Arbitration for Sport this week. The IAAF introduced a rule in April 2018 that would have forced women with naturally high testosterone levels to take hormone therapy to lower them to compete in track events from 400 meters to one mile, had it not been challenged by her and Athletics South Africa. Semenya, who was forced to take a gender test when she won the world championship at the age of 18 in 2009, has hyperandrogenism, a condition characterized by higher than usual testosterone levels. "Leaving out sprints and longer distances seems to me to be a clear case of discrimination by targeting Semenya," Navratilova said.